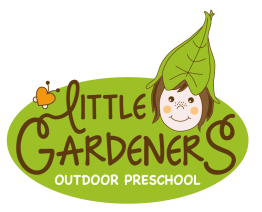 LITTLE GARDENERS is an outdoor early childhood program that educates the whole child in a nurturing environment. "Planting Seeds of Love and Learning" is our mission each and every day. Teaching a thirst for lifelong learning is just as important as growing love for oneself, for one another and for nature. Integrated activities stimulate social, emotional, physical, and cognitive development alike. Creative play, child centered activities, and process oriented learning, build the center of the program and encourage self-expression, critical thinking and problem solving skills. Our schedules are flexible and our program is ideal for families that are interested in playing an active role in their children's education. Our small class size provides a personal school experience for both children and parents. Eva is founder and operator of LITTLE GARDENERS LLC and co-owner of LITTLE GARDENERS ON THE HILL LLC. She is a passionate educator who loves to create playful learning adventures for children. Eva, originally from Switzerland, has a BA in Elementary Education and her extensive experience include positions as head teacher, internship instructor and counselor. She is a certified preschool teacher and is registered as director-qualified in the State of Hawaii. Ingrid Schloesser is teacher and co-owner of LITTLE GARDENERS ON THE HILL LLC. She was born and raised in Germany, where she obtained her MS in special education. She is further trained in speech therapy and has worked in different educational settings as a teacher, skills trainer and speech therapist. She enjoys living in Hawaii with her husband and two children Lani and Levi.